Another Thursday, another Free App of the Week entry from Apple. For the period of Dec 18 to Dec 25 , iOS users will be able to get Brushstroke completely free of charge from the App Store till it returns to its original price tag of $2.99. Brushstroke was released in March 2014, holds a current rating of 4.5/5 stars and has never been free before. For you unfamiliar with the app, Brushstroke is a photography-oriented platform that wants to touch up your photos by turning them into portraits and paintings. Users can customize their pictures through a variety of filters and then share them with friends or even turn them into actual framed prints via CanvasPop. 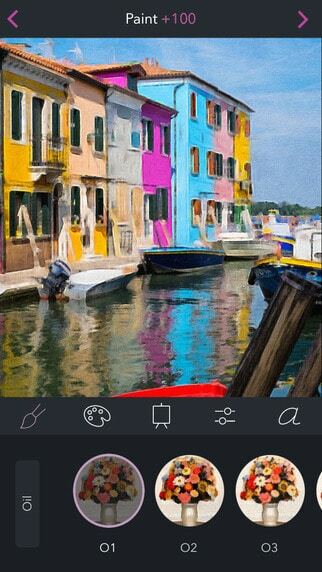 The only in-app purchase is the ‘Illustration Pack’ that simply offers additional filters and such for $0.99. The app is universal, meaning you can get it for both the iPhone and the iPad and it has also been optimized for Apple’s various products specifically. Although you will need iOS 7+ to run it, the app is better experienced on iOS 8+. If I still have your attention, make sure you visit the app’s page on iTunes and get it for yourself.